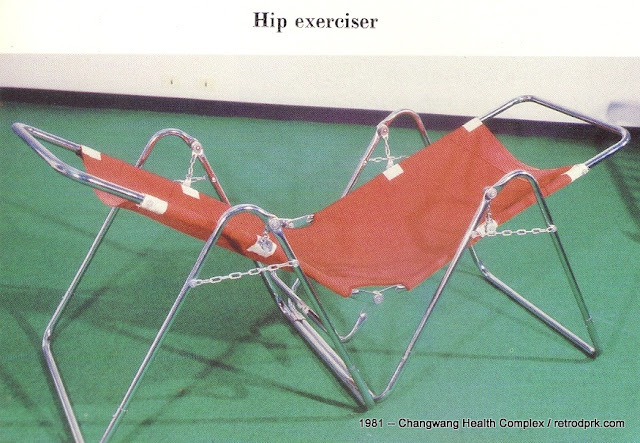 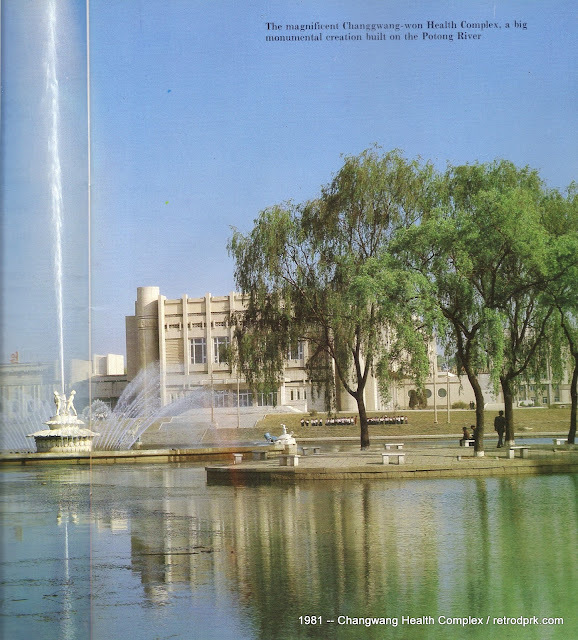 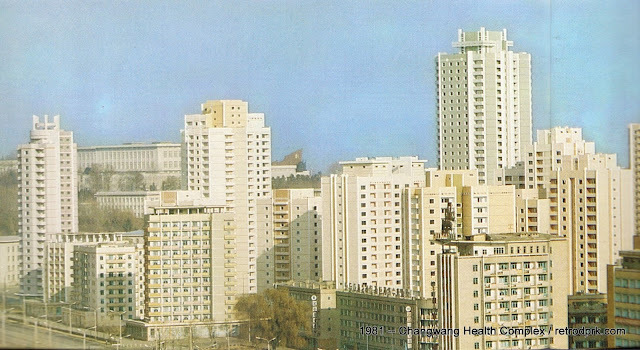 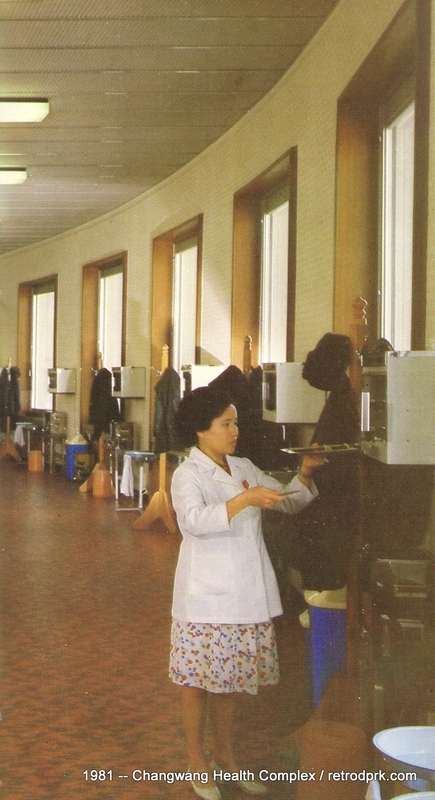 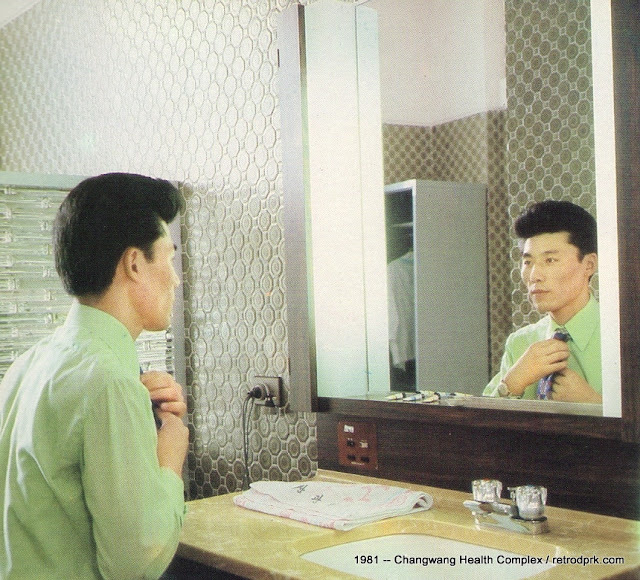 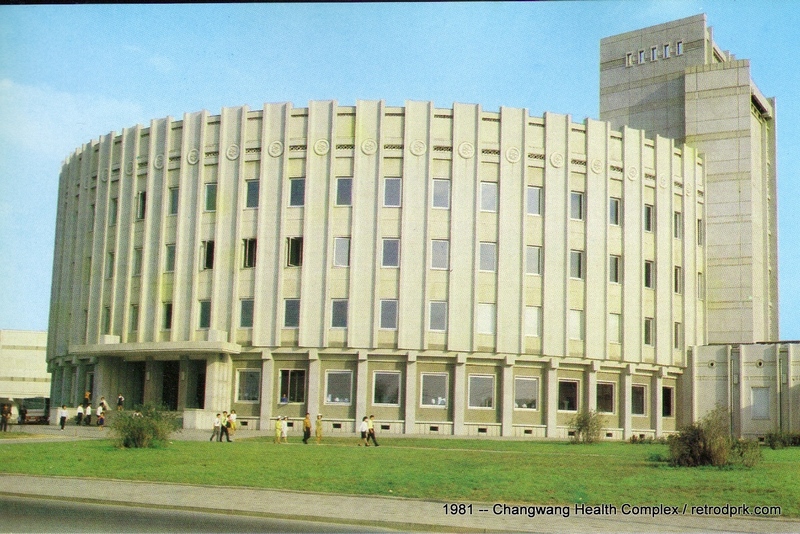 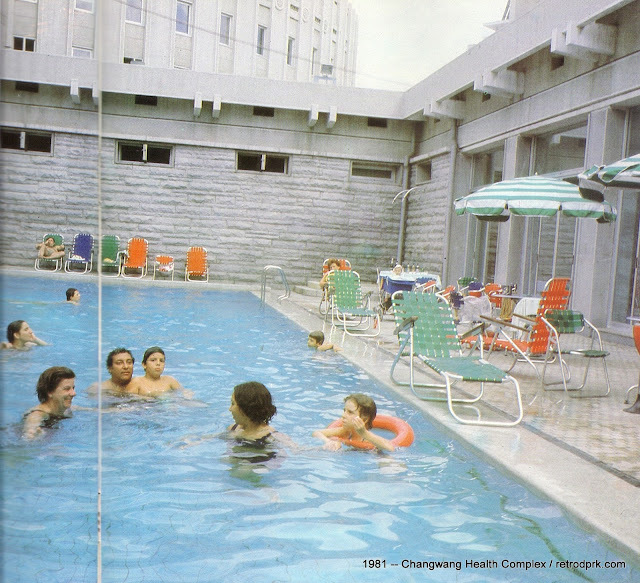 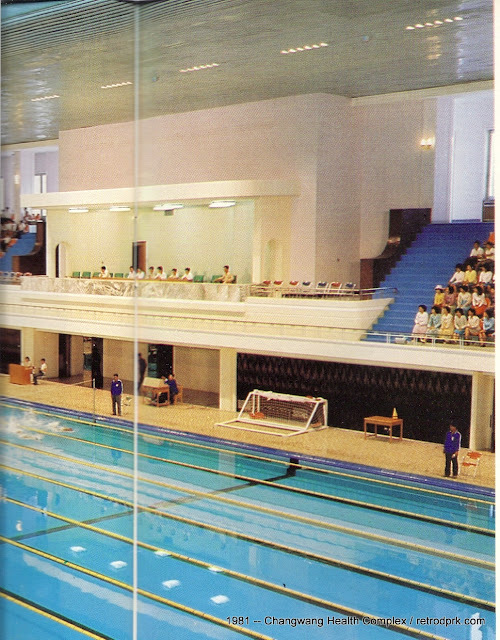 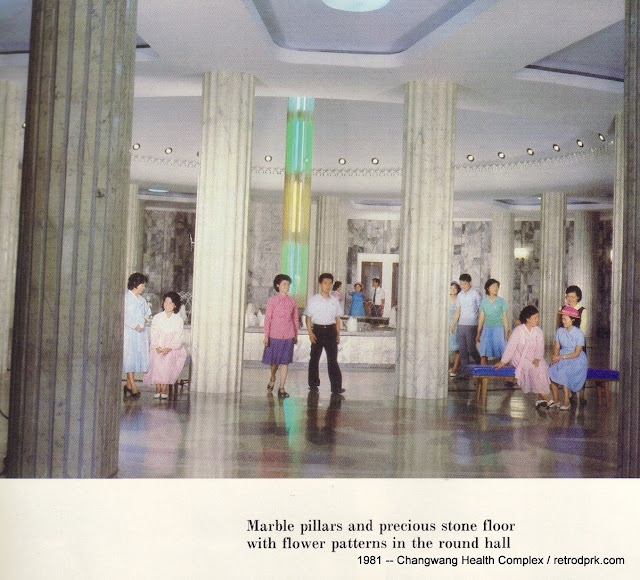 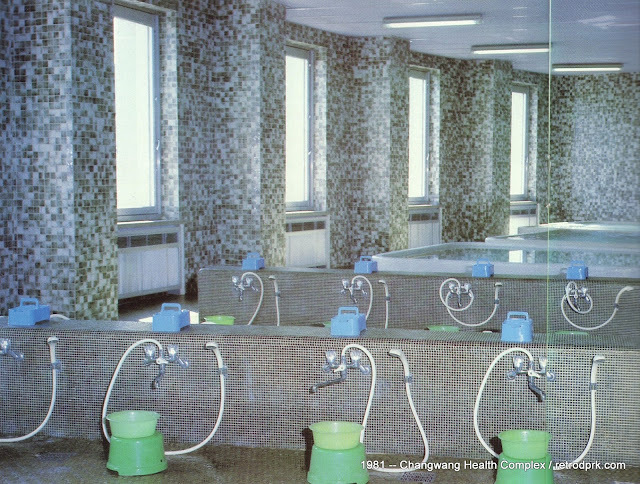 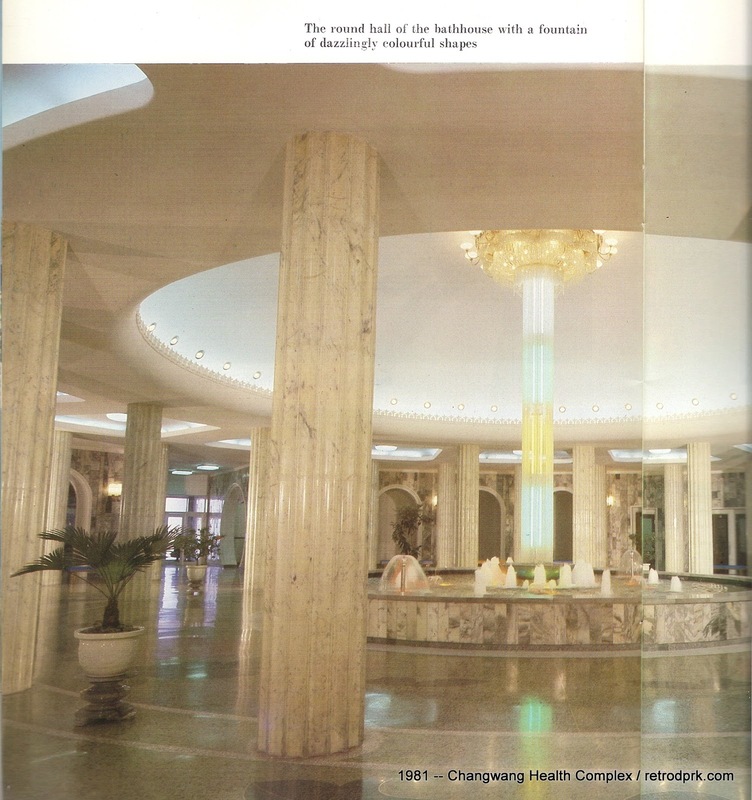 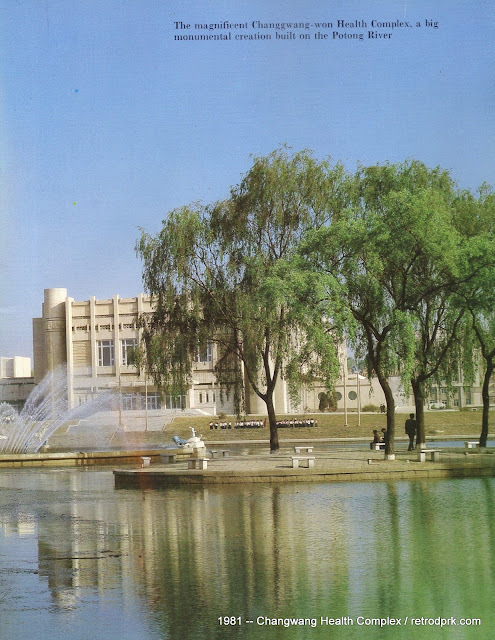 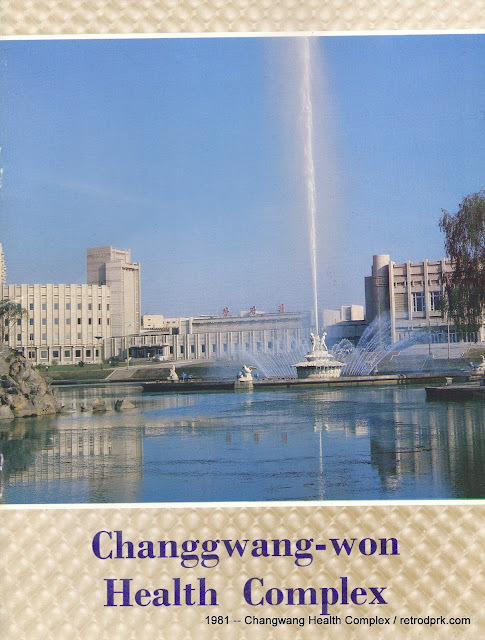 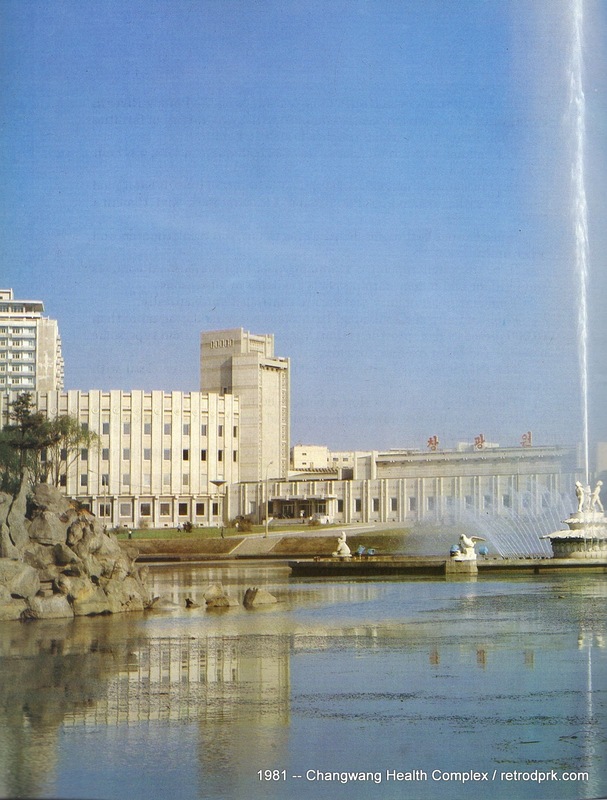 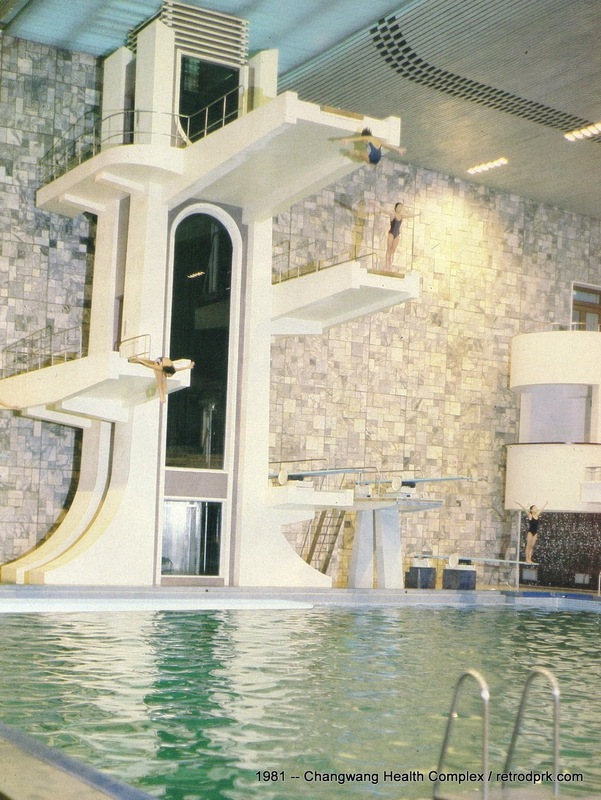 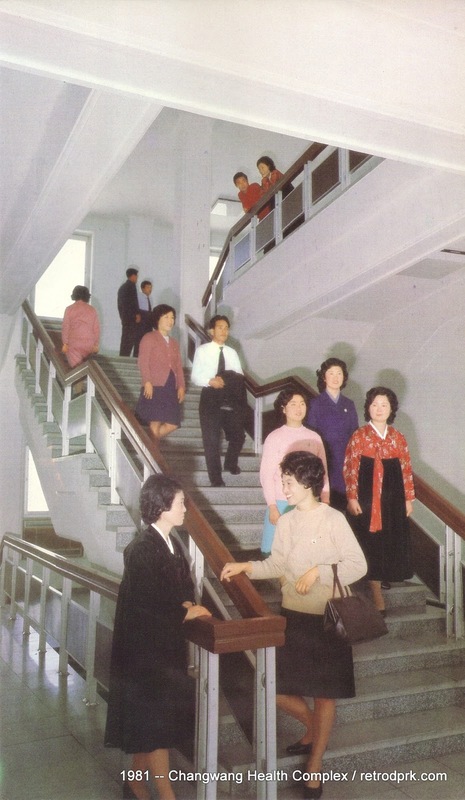 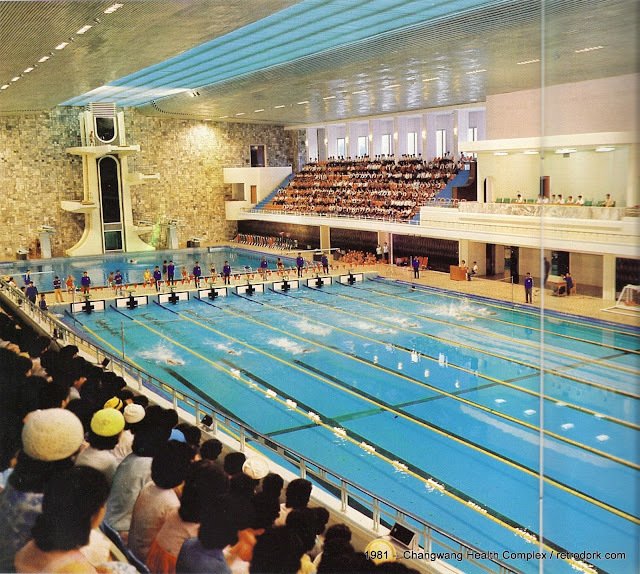 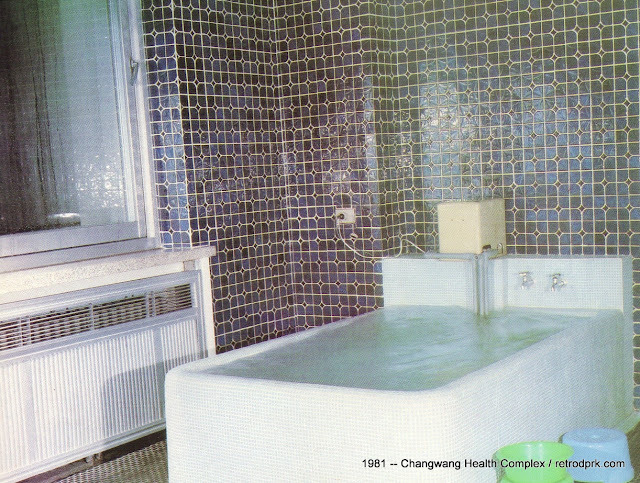 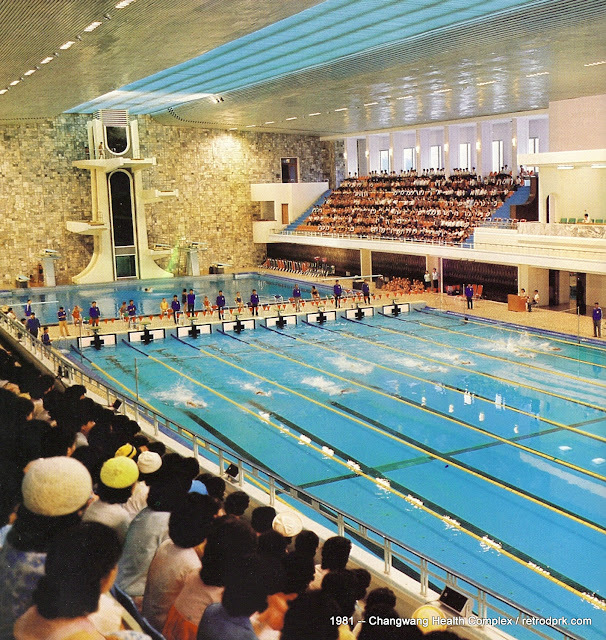 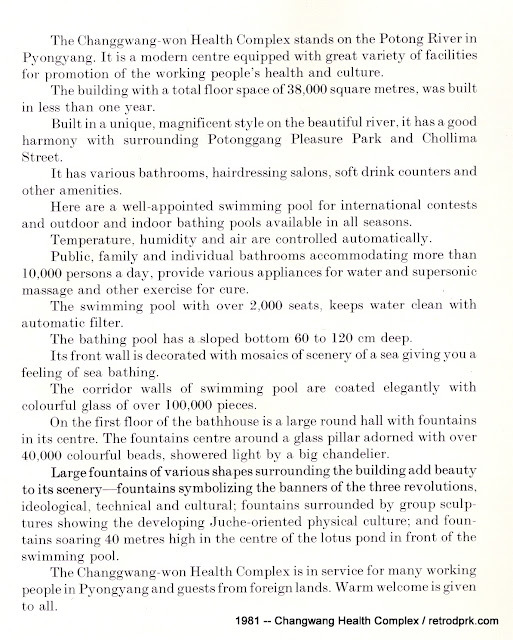 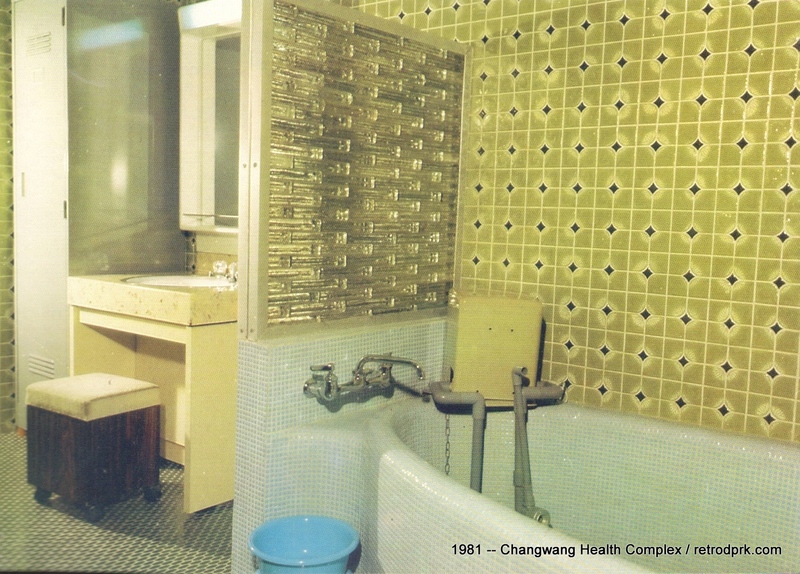 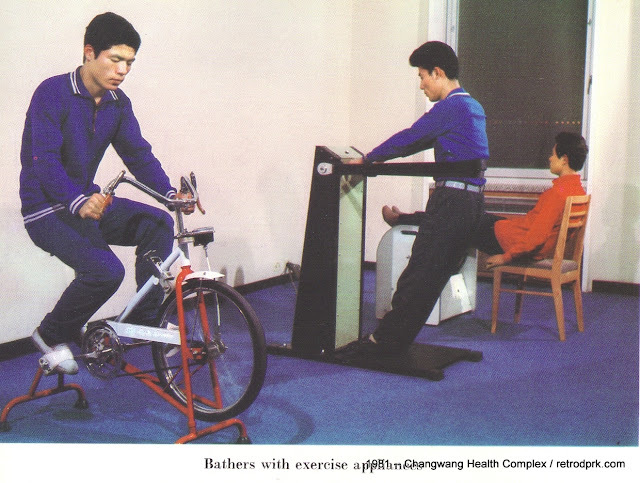 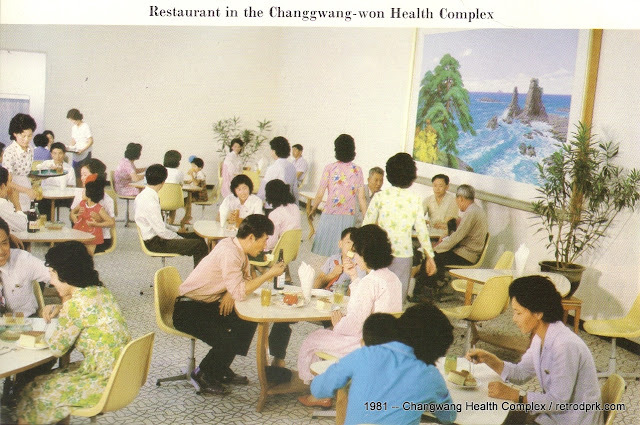 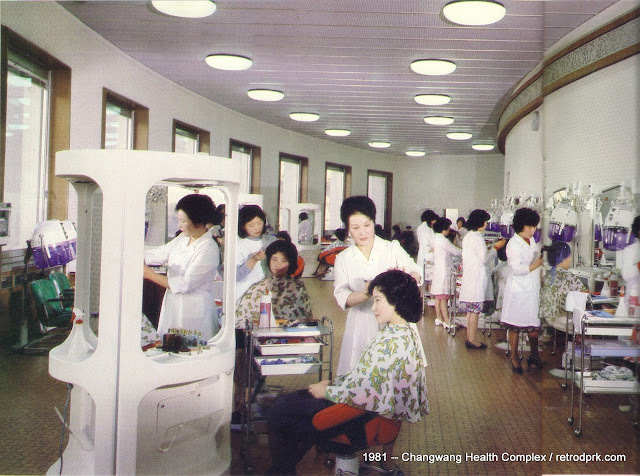 Constructed in 1981 in the North Korean socialist modernist style -- Juche Modernism as we say here at Retro DPRK -- the Changgwang-won Health Complex is one of Pyongyang's most distinctive buildings. 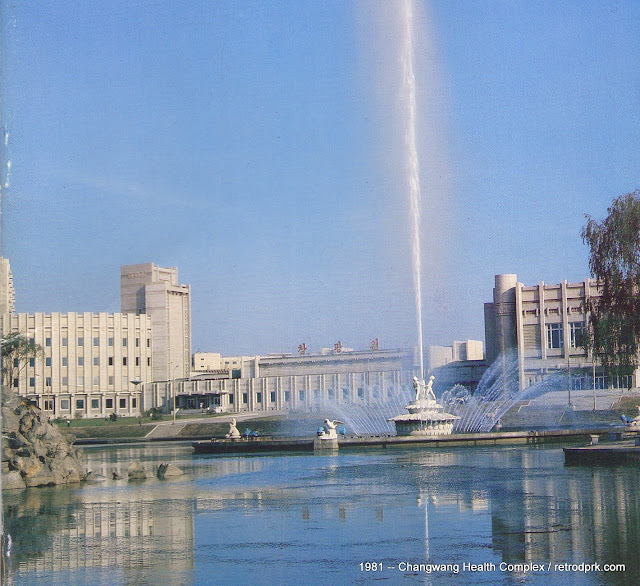 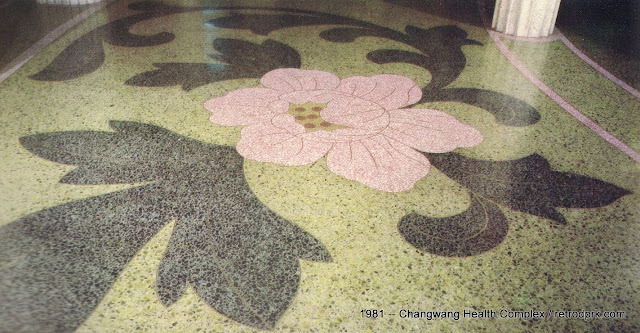 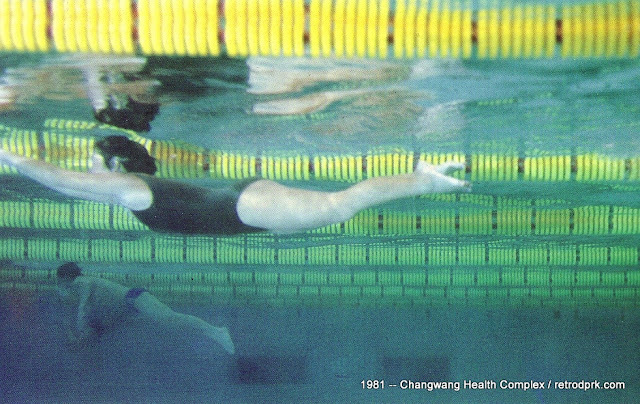 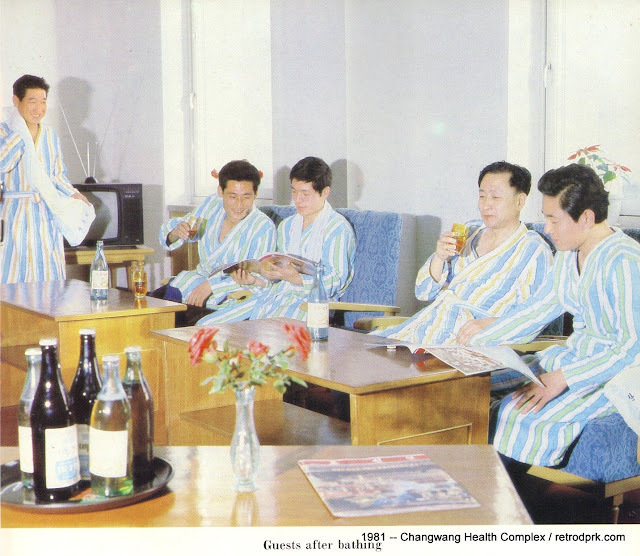 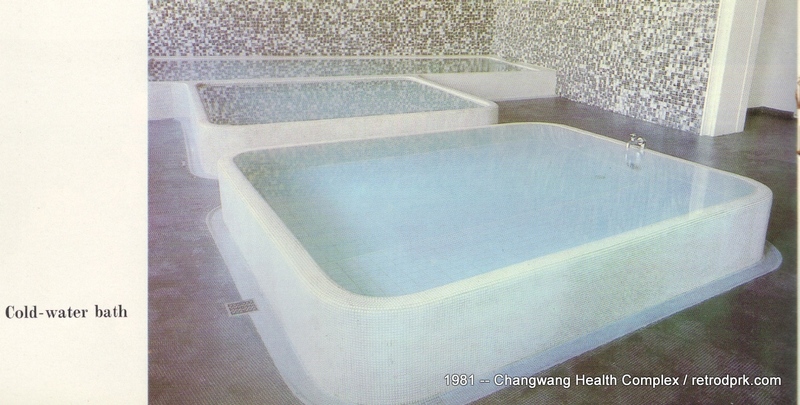 A self-described "big, monumental creation built on the Potong River", the Changgwang-won Health Complex is open to the general public as well as foreigners, and as such will likely be familiar to those who have lived or studied in Pyongyang. 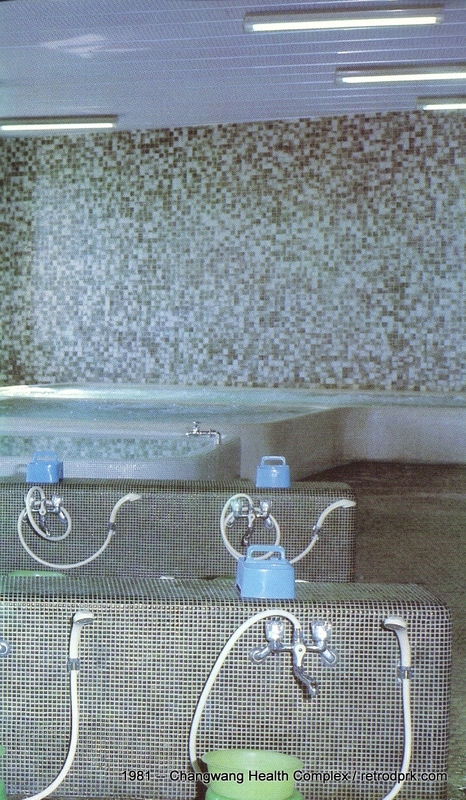 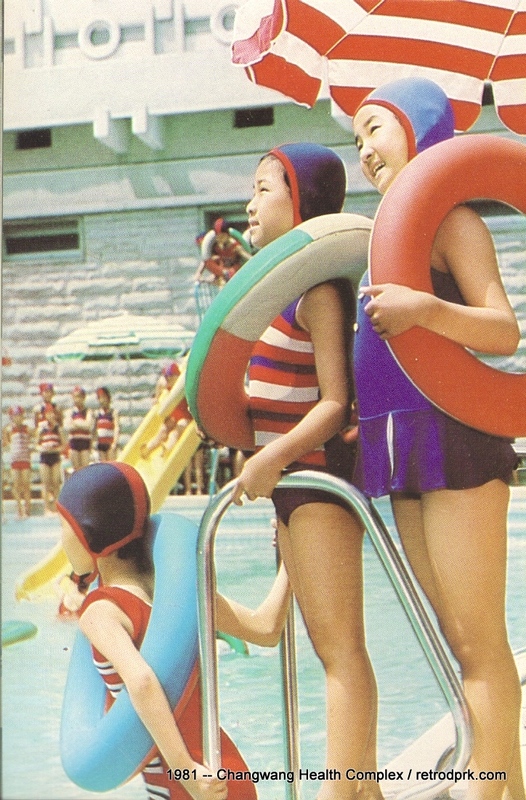 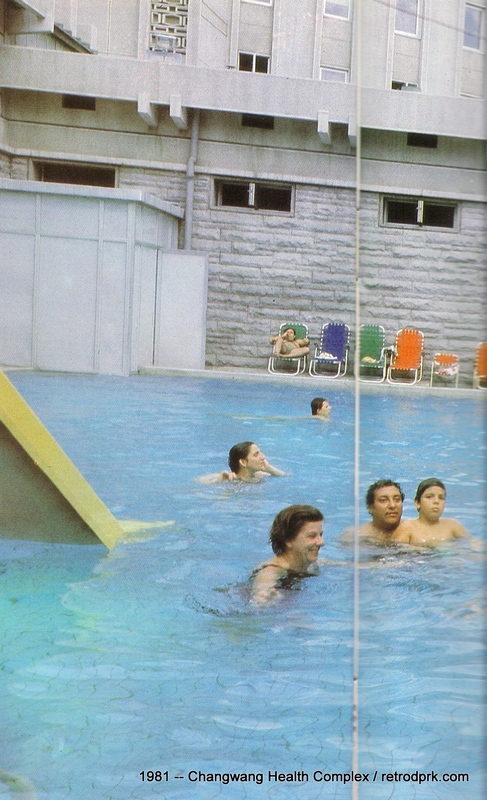 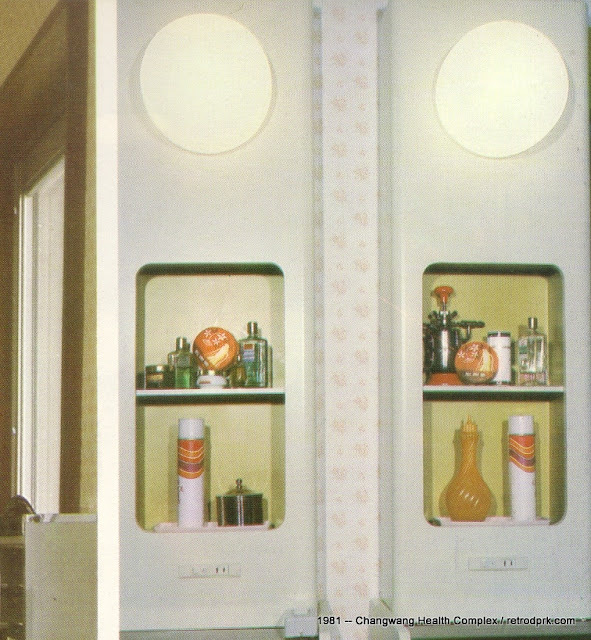 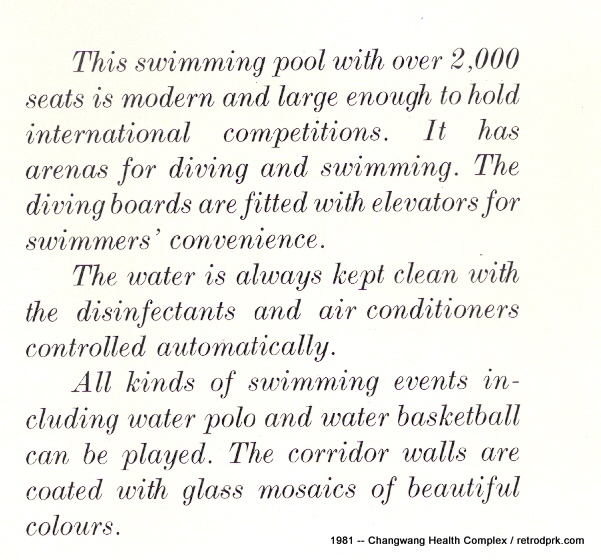 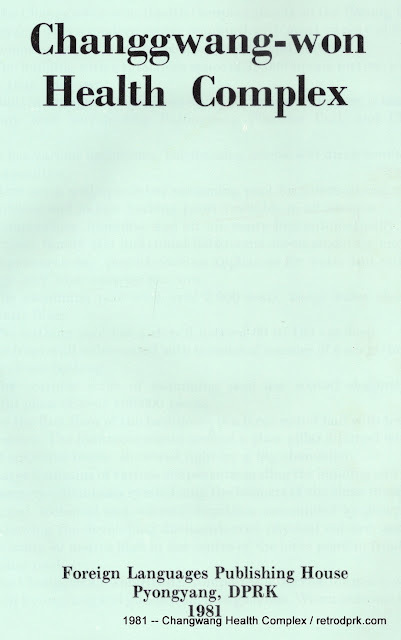 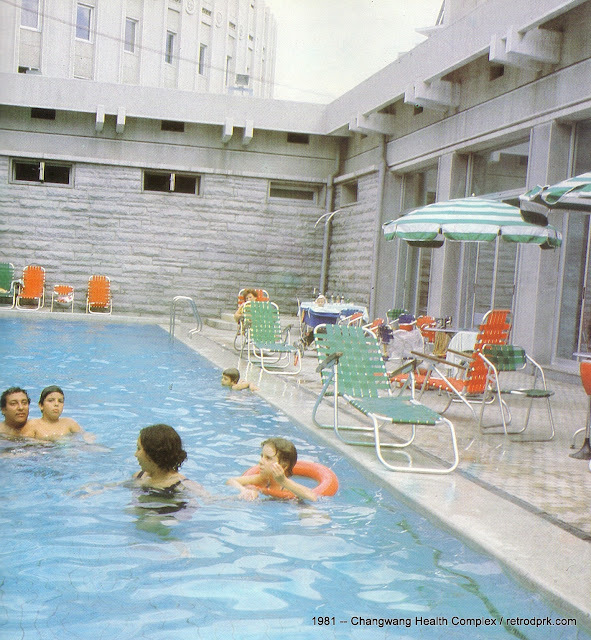 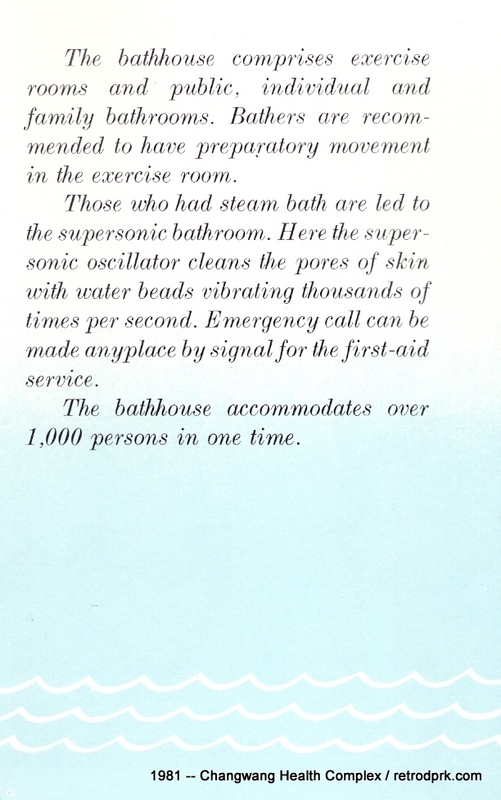 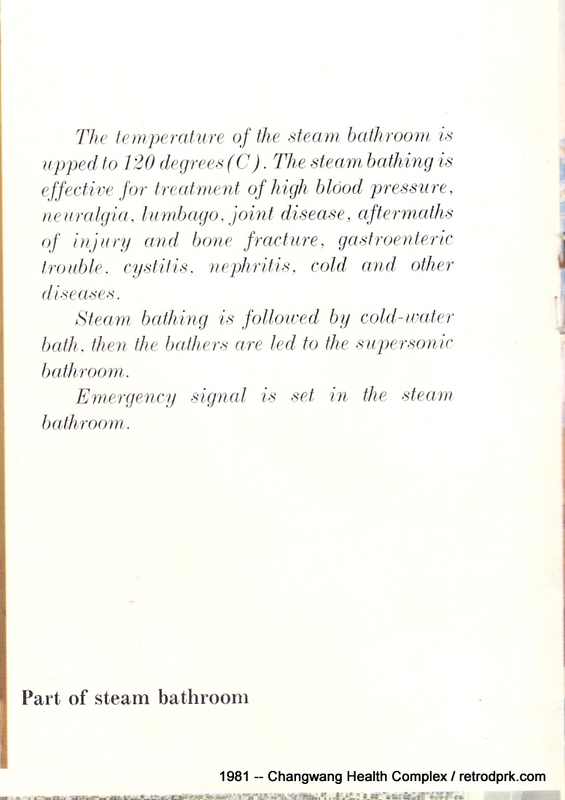 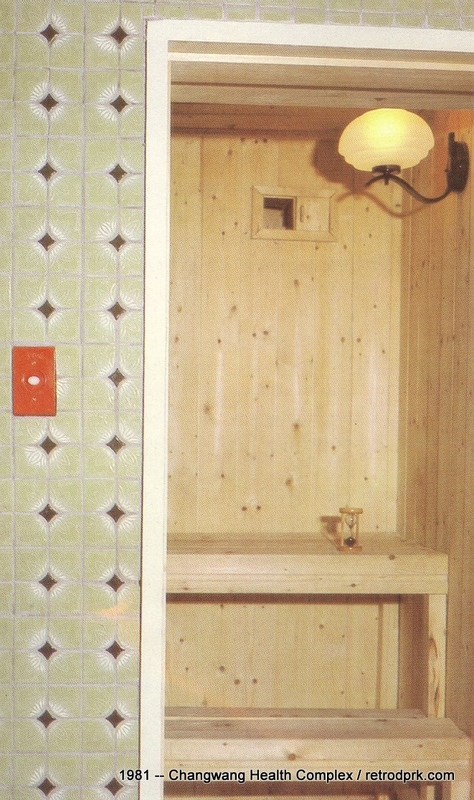 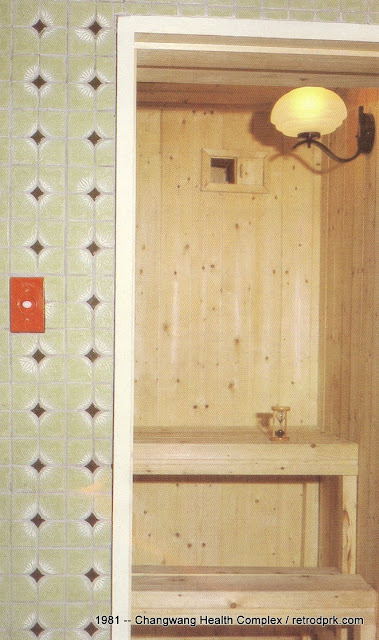 Tourists are welcome here too, and the Complex's amenities are a healthful and enjoyable repose. 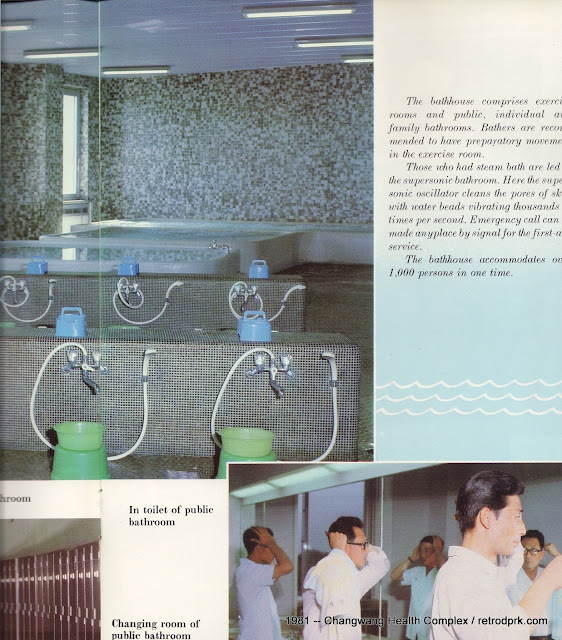 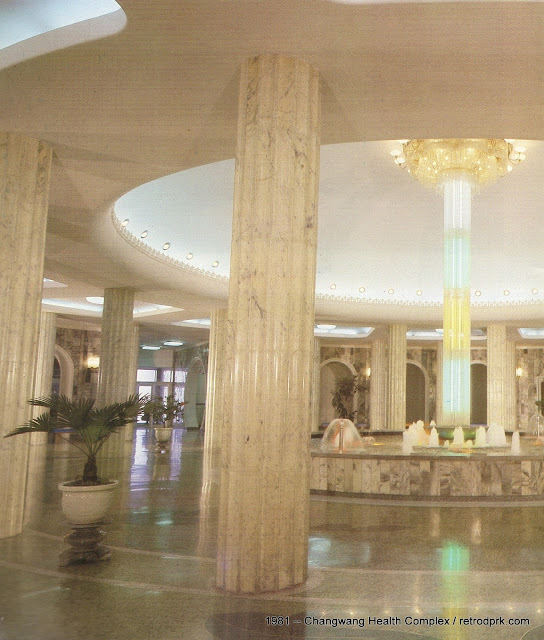 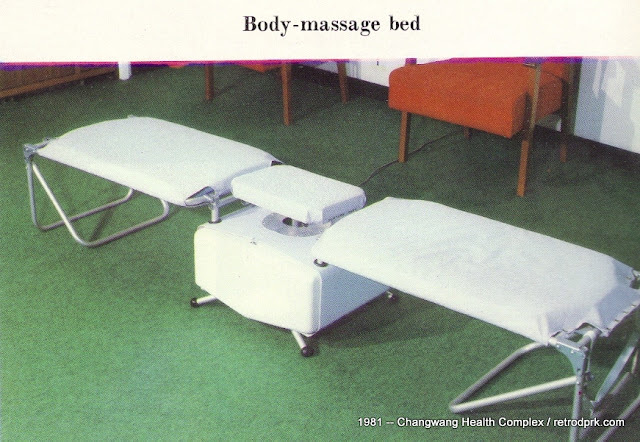 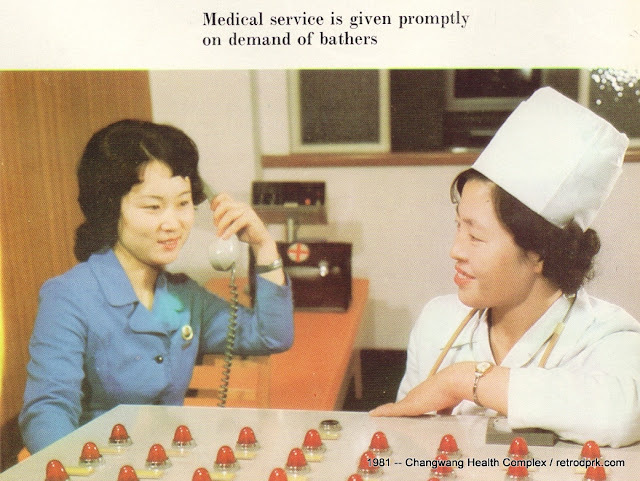 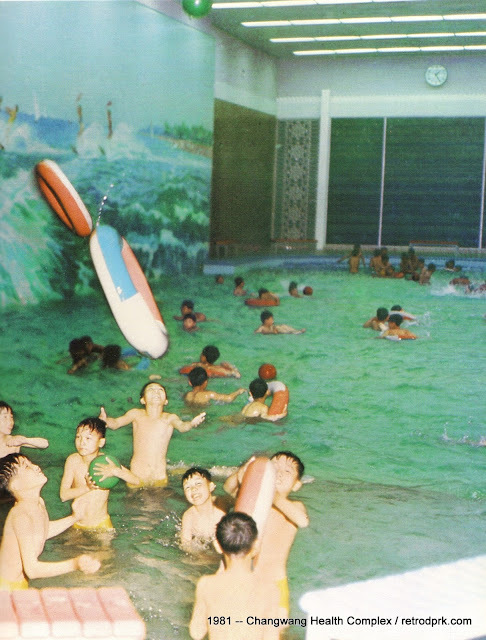 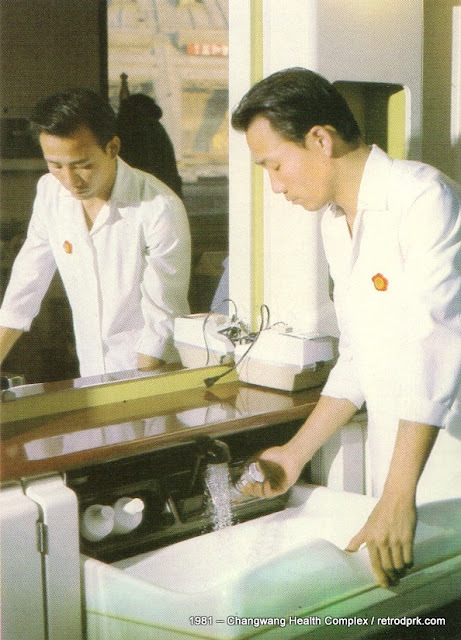 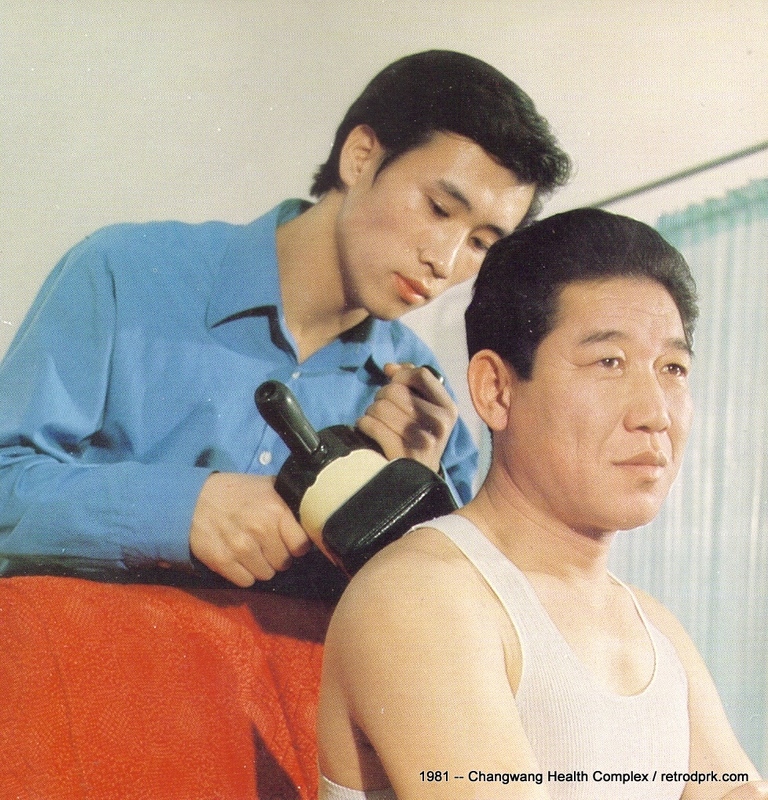 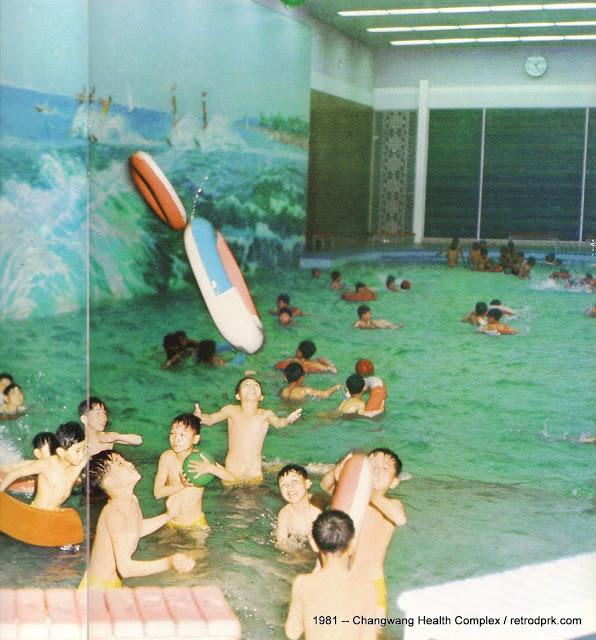 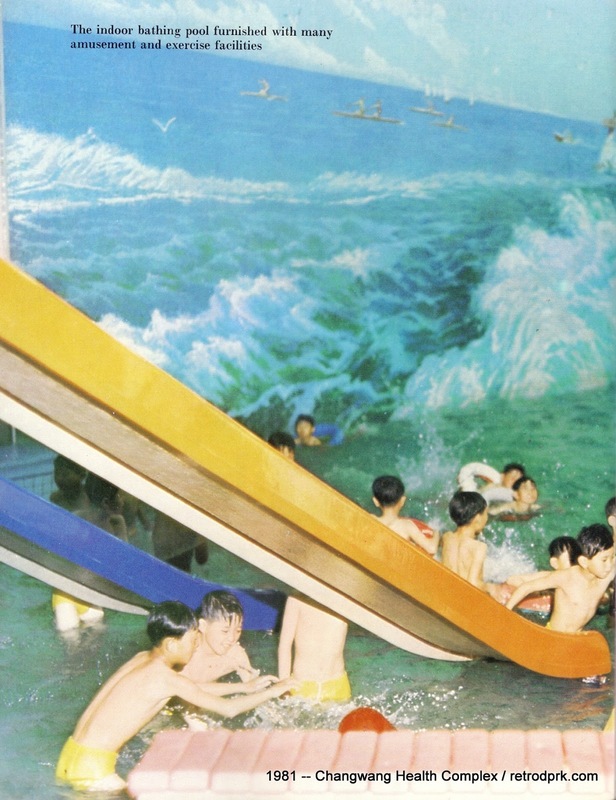 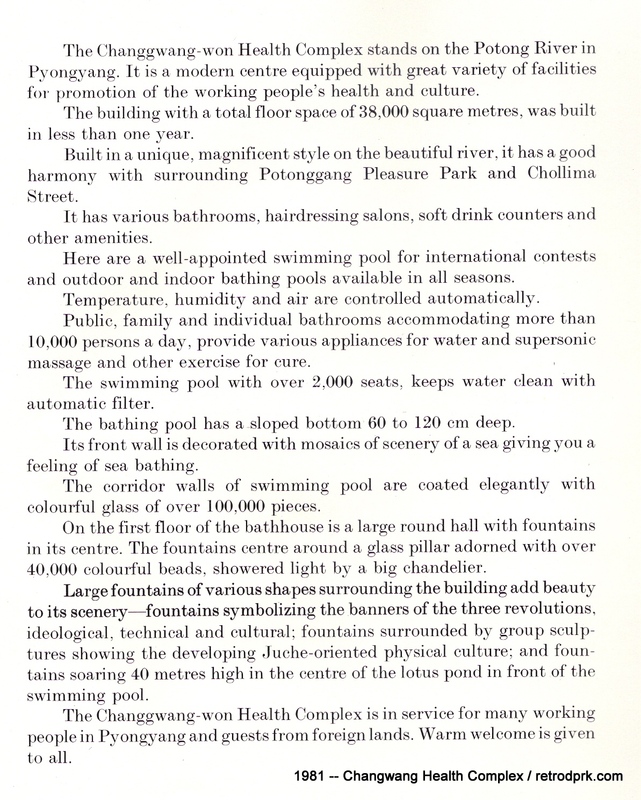 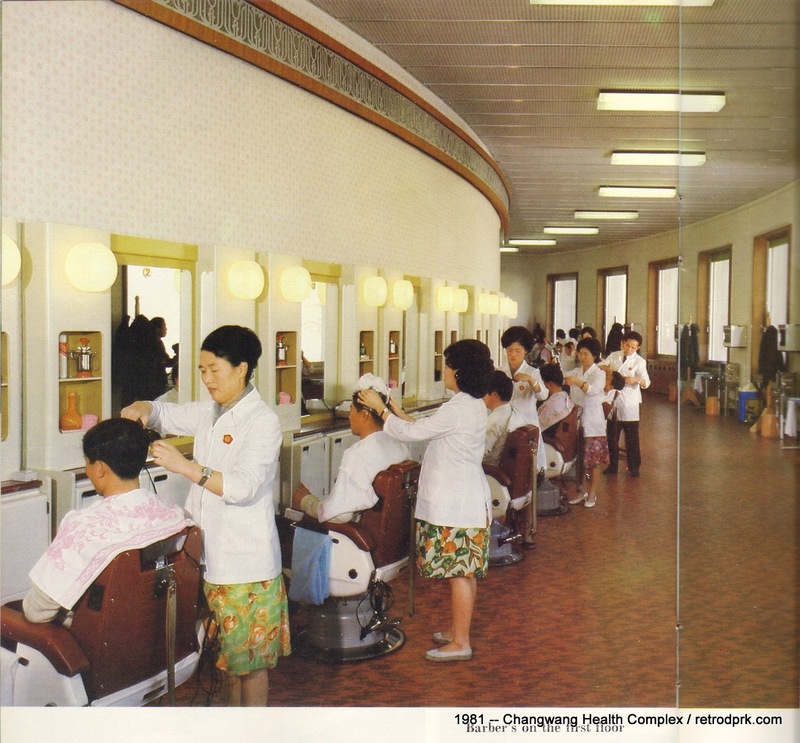 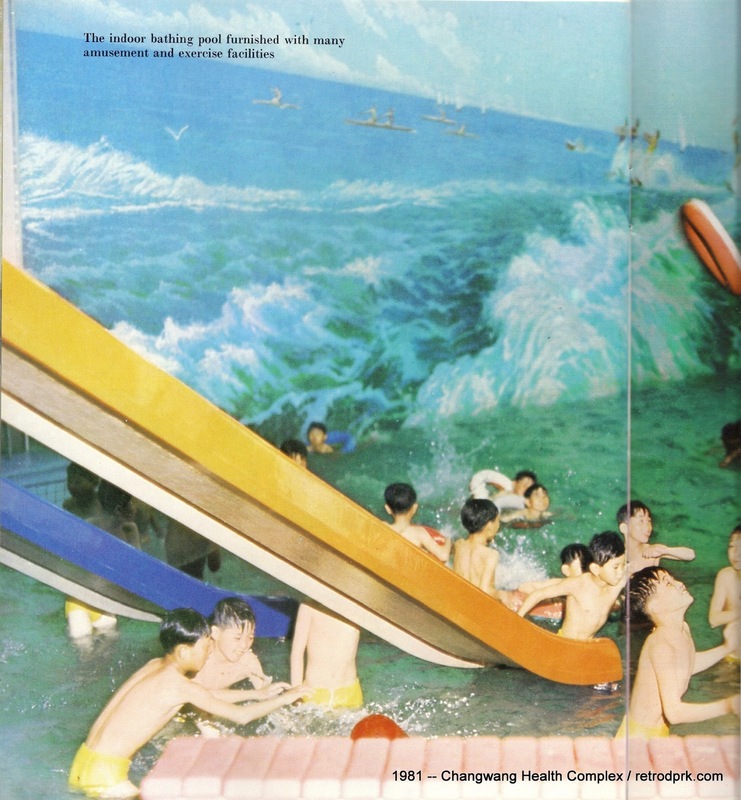 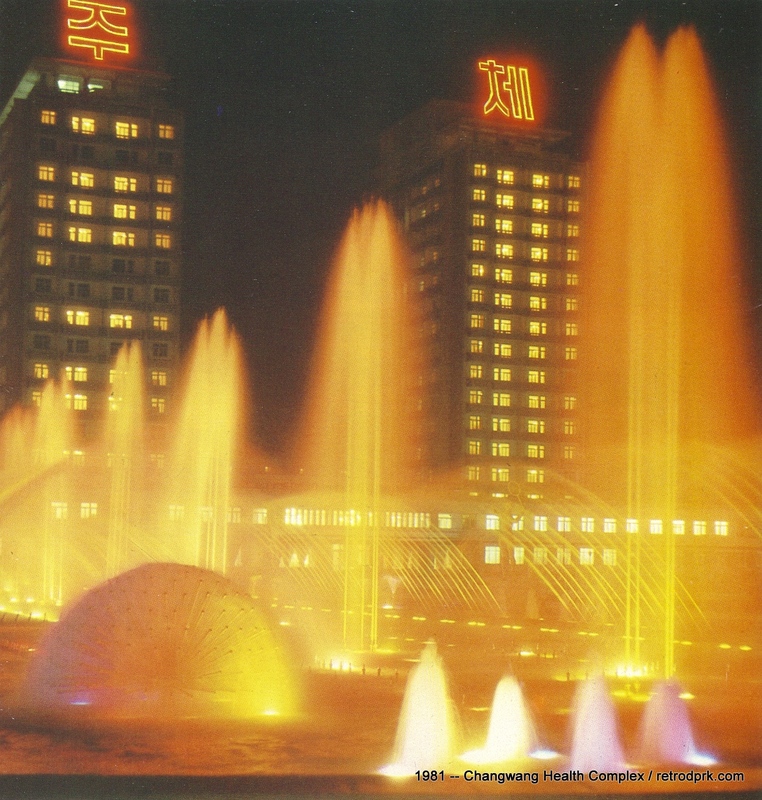 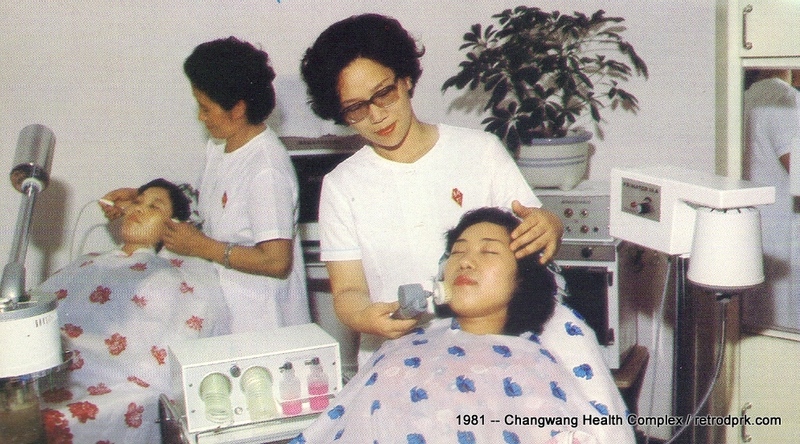 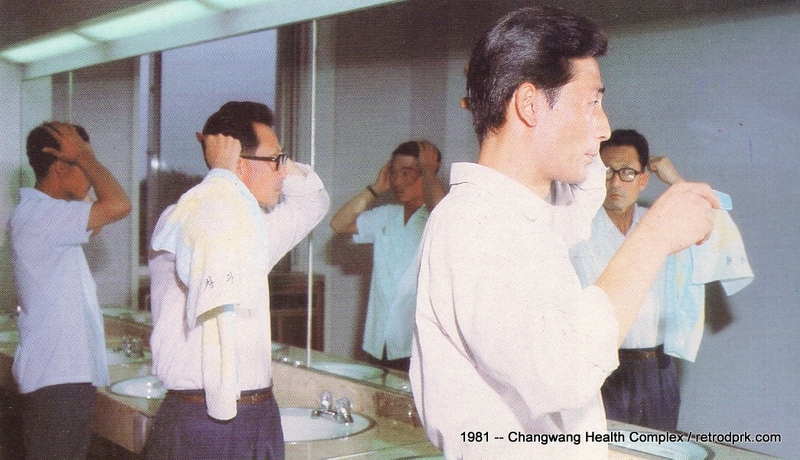 Here the tourist can enjoy hot baths, swimming, Korean-style massage or visit the barber or beauty salon, where one can select from a display of ideologically acceptable haircuts or partake in a set and blow-dry befitting the spirit of the revolution.